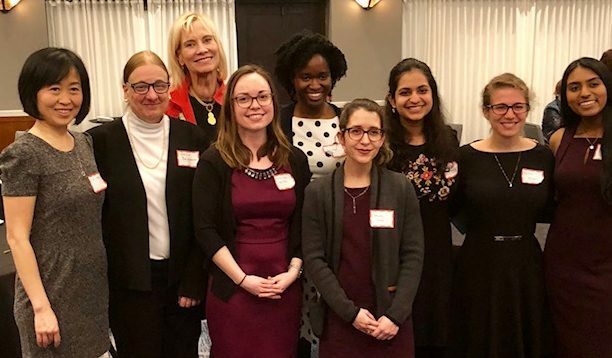 The Rita Allen Foundation celebrates the accomplishments of women in biomedical science, including Rita Allen Scholars (clockwise from top left) Diana Bautista, Li-Huei Tsai, Monica Dus, Camila dos Santos, Katherine Hanlon, Kathleen Foley and Emmanuelle Passegué. As we mark the 32nd annual Women’s History Month in the United States, the Rita Allen Foundation honors the vital contributions of women in science. We celebrate the increasing numbers of women in faculty positions and leadership roles, while recognizing that there is much work still to be done. In this spirit, we recently welcomed our two newest Award in Pain Scholars, Helen Lai and Candice Paulsen, who join an extraordinary community of Rita Allen Scholars. 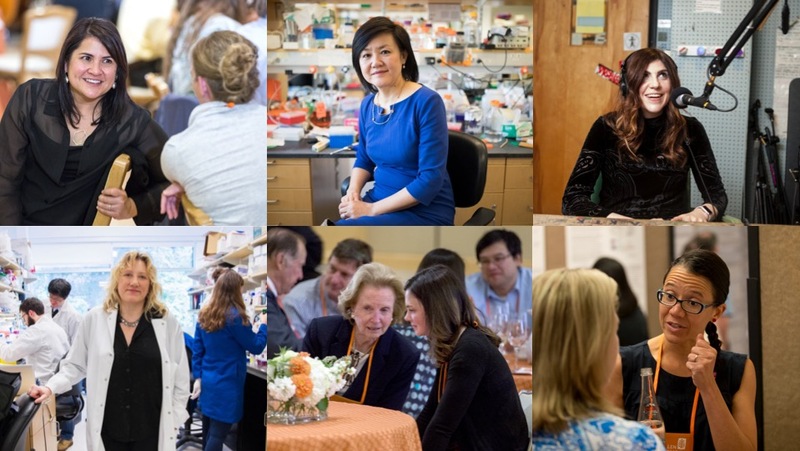 We are also pleased to share profiles of nine inspiring women scientists who have helped to transform our understanding of pain relief, neural circuits, cancer dynamics, chromosome biology and more. Some have led scientific societies, departments or initiatives; all have served as mentors and champions for new generations of scientists. These are just a few of the trailblazing researchers the Foundation has supported, and we look forward to capturing more Scholars’ stories in the coming years. Titia de Lange (1995) recalls that when she entered university, “I decided I wanted to study chemistry, because that was the only thing I enjoyed. But there were no women in chemistry—not just professors, but no students either.” She decided to study biology, and has paved her own way ever since, revealing fundamental mechanisms that protect the ends of their chromosomes, or telomeres, from degradation—processes that are critical to understanding both genome maintenance and cancer development. Susan Dymecki (1999) has worked to elucidate the development of the brain’s serotonergic system, bringing insight into serotonin involvement in such diverse disorders as sudden infant death syndrome and depression. She joined the Foundation’s Scientific Advisory Committee in 2017 and serves as the Program Head of Harvard’s Biological and Biomedical Sciences Ph.D. Program. “One of the best parts of my job is working with the young trainees who will be the next generation of scientists shaping our world,” says Dymecki, who has been recognized for her mentorship. Hao Wu (2002) uses advanced imaging techniques to characterize the intricate higher-order structures of “inflammasomes”—multiprotein complexes that initiate immune responses to viral and bacterial pathogens. When she was a medical student in Beijing, a conference presentation featuring the three-dimensional structures of viruses inspired her to move to the United States and pursue a Ph.D. in X-ray crystallography. “Instinctively, I thought this could be a really good fit for me, because of my interest in math and physics,” she recalls. Hilary Coller (2005) investigates what happens when cells exit the cycle of growth and proliferation and become quiescent—not actively dividing, but maintaining their capacity to do so. The reversal of this process may explain why tumors that have lain dormant, sometimes for years, reawaken to cause a recurrence of a patient’s cancer. When she was a postdoctoral fellow, Coller recalls, her adviser suggested that she use a new technology to look into the “dead-end” phenomenon of cell quiescence. “I liked the idea of being a pioneer in studying a cell cycle state that was physiologically important but poorly understood,” she says. Elizabeth Good Christopherson, President and Chief Executive Officer of the Rita Allen Foundation (third from left) with Dr. Gloria Bachmann (second from left), Professor of Obstetrics and Gynecology and Professor of Medicine at Rutgers Robert Wood Johnson Medical School, along with students at the Association for Women in Science New Jersey Mentoring Awards, where Ms. Christopherson was honored for leading work that has an important impact in the STEM ecosystem. New Jersey Assemblyman Dr. Andrew Zwicker, a physicist and science educator at Princeton University’s Princeton Plasma Physics Laboratory and chair of the New Jersey Science, Innovation and Technology Committee, presented a resolution for Ms. Christopherson as part of the evening’s program.